Leslie Hart is an active freelance horn player and music educator in the San Francisco Bay Area. She teaches on Horn Faculty at Santa Clara University and she is the Co-Founder and Director of Noise Lab Creative Music Community. She completed a dual Doctor of Musical Arts Degree in Performance and Music Education from the Eastman School of Music in 2011. 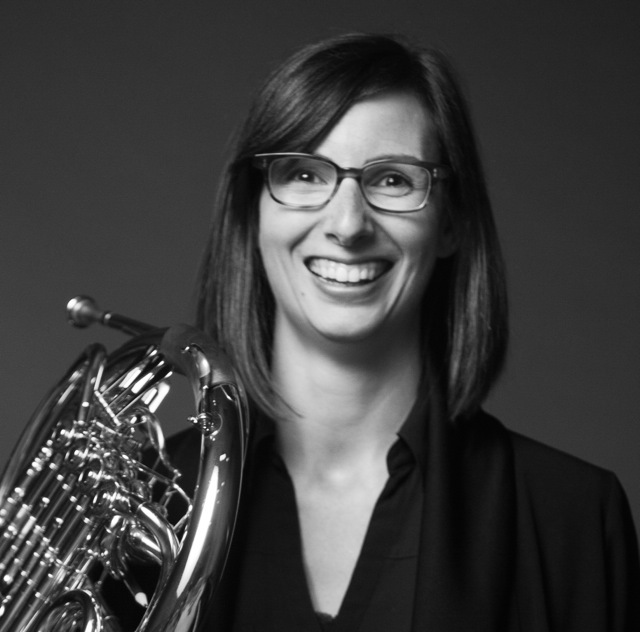 Leslie has written on cadenza improvisation (Horn Call May 2010 and May 2013) and her dissertation “Improvisation in the Collegiate Horn Studio” (University of Rochester 2011) describes college horn majors learning to improvise in orchestral horn excerpts. She has presented clinics in Thailand, Singapore, Hong Kong, Malaysia, Vietnam, Myanmar, and the United States including 2009 and 2011 International Horn Symposiums, Mid-South Horn Workshops, Northeast Horn Workshops, Northwest Horn Symposium, and South Bay Horn Days. Leslie is also a member of Emerald Brass Quintet. Leslie has performed and lived around the world teaching and playing Horn and it's her greatest passion in life to do both—to share in the amazing history of music through horn and to make the world little brighter through music.